Prepare to throw coins at your laptop screens: a new Linux-supporting Humble Bundle is here! Yes, after a series of Windows-only bundles the latest iteration, the Humble Indie Bundle 9, is once again giving a flipper up to penguin loving gamers the world over. The Humble Indie Bundle 9 features six DRM-free games in all – three of which are brand new to Linux. 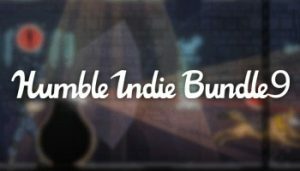 Buy the Humble Indie Bundle 9 now!